Looking For The Best Clean Boost Guitar Pedals? Here’s a look at our favorites, including our top pick – the Xotic EP Booster. It does not matter if you play one night a week at the local dive bar or every night at upscale theaters throughout the country. As a dedicated musician and guitar player, you rely on your equipment to give your audience its money’s worth and deliver a killer performance each time you take the stage. 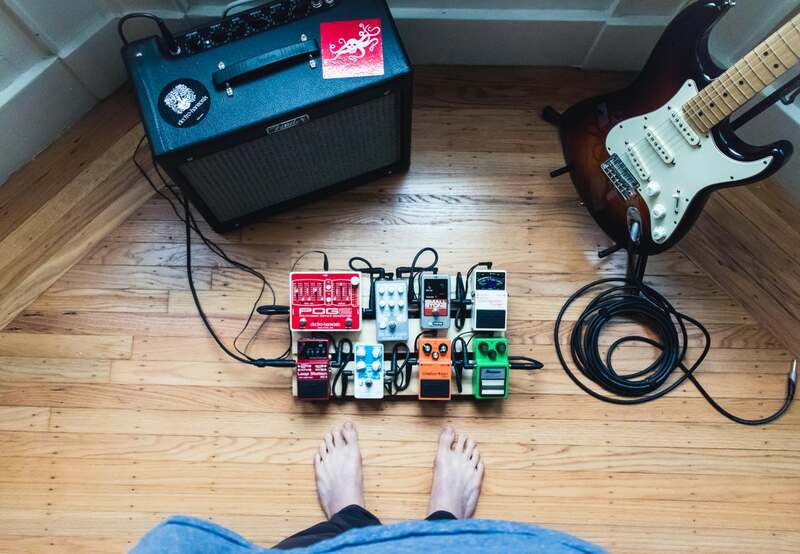 One of the most essential pieces of equipment for any player is the clean boost guitar pedal. Without this essential piece of equipment, it is hard to control the depth of sound you get or determine how it sounds to your audience. If you are in the market for a new clean boost guitar pedal, you need to shop carefully, consider all your options and look beyond the lowest price tag and toward a true value. With so many top quality clean boost guitar pedals to choose from, it can be hard to find the best value. That is why we have done some of the leg work for you, and why we are proud to present our top 5 choices for the serious musician, the casual player and the hobbyist. With its internal switches for strong bass boosting performance and its discrete FET Preamp, the Xotic EP Booster Mini EQ Effect Pedal is one of the best in the industry. 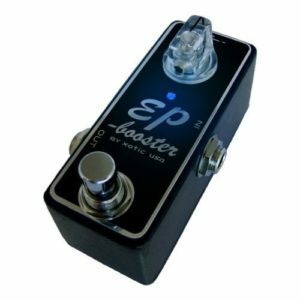 Whether you are a professional guitarist or just want to be some day, the Xotic EP Booster Mini EQ Effect Pedal can provide you with all the boosting power, all the performance and all the versatility you need. The Xotic EP Booster Mini EQ Effect Pedal provides players with up to +20 dB of gain, so you can boost your performance as much as you need to. With 9-18 vdc operation, this is also one of the most versatile pedals on the market, making it a great choice for players of all ages and abilities. With its low price tag and its powerful boosting technology, the TC Electronics Spark Mini Booster Guitar Pedal is the perfect choice for the hobbyist or the beginning guitar player. Even so, this great mini booster is powerful enough for the serious performer, so you can move up the levels without having to shell out more cash. 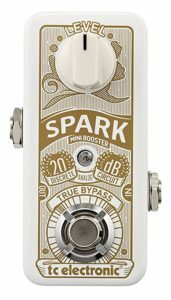 The TC Spark Mini Booster Guitar Pedal features a small footprint and a discreet design, but it also provides up to 20 dB of clean boost, along with PrimeTime, a seamless switching technology that lets you move between latch and momentary modes with ease. If you are looking for a small guitar pedal with big power, this is the one for you. 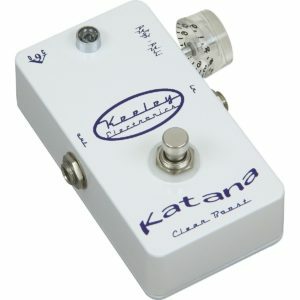 Designed for the serious musician and professional guitar player, the Keeley Katana Pre Amp Guitar Effect Pedal is one of the best ones you can buy. With plenty of power and a top quality design, this is one serious guitar pedal. The Keeley Katana Pre Amp Guitar Effect Pedal features a convenient 9v DC jack, but it can also operate on battery power, so you can take it anywhere you play and use it without worry. The internal power supply is able to transform those 9 volts into 18JFET, so the clean tones it produces are always tube like and top quality. There is a push-pull Speedo knob mounted on the side so you can adjust it with your foot as you play. No matter what kind of music you play or where you play it, this is one of the easiest pedal boards to use. There is also a set of metal resistors and caps for the ultimate in noise reduction and distraction-free play. With its affordable price tag and its 20 dB of pure and transparent boosting power, the Outlaw Effects BOILERMAKER Boost Pedal is one of the best values on the market. Designed for everyone from the casual player and hobbyist to the serious player and professional guitarists, this great guitar pedal can take you from one category to the next with ease. The Outlaw Effects BOILERMAKER Boost Pedal features two +/- 15 dB active EQ controls for the ultimate in versatility and boosting power. This low-priced guitar pedal is one of the few in its class to offer true bypass switching, something that serious players are sure to appreciate. 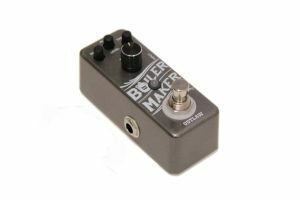 Constructed of ultra-durable aluminum alloy and the best quality components, the Outlaw Effects BOILERMAKER Boost Pedal is clearly made to last. And with its staggered inputs and outputs, this great pedal board has a small footprint, so it not take up all your space on stage. 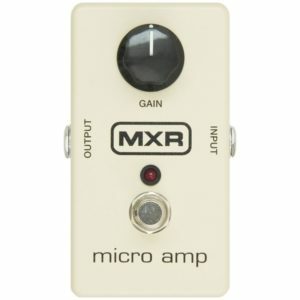 If you are looking for a guitar pedal that will boost your playing but not take up all your valuable stage real estate, the MXR M133 Micro Amp is the perfect choice. Designed for everyone from the serious player to the casual musician and hobbyist, this micro amp is one big performer. With the MXR M133 Micro Amp, you can easily add a preset amount of gain with just a single control. That gives you an unprecedented level of flexibility, making your valuable time on stage even better – and your audience even happier. The MXR M133 Micro Amp lets you easily boost your signal for lead work, and its versatile design means you can quickly change between guitars, even if those guitars have different outputs. 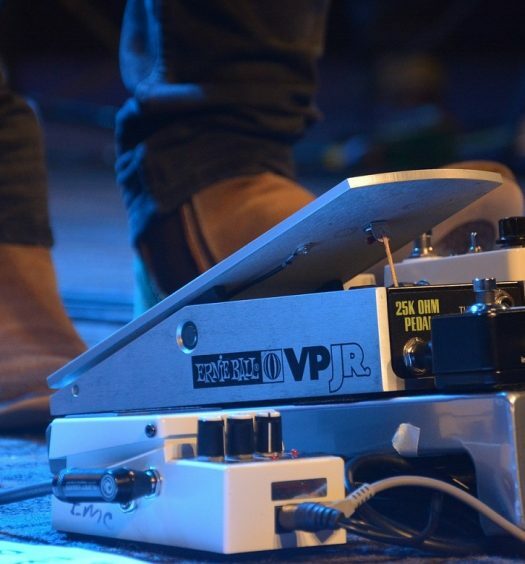 If you are looking for a single pedal that can handle all your gear, this is the one for you. 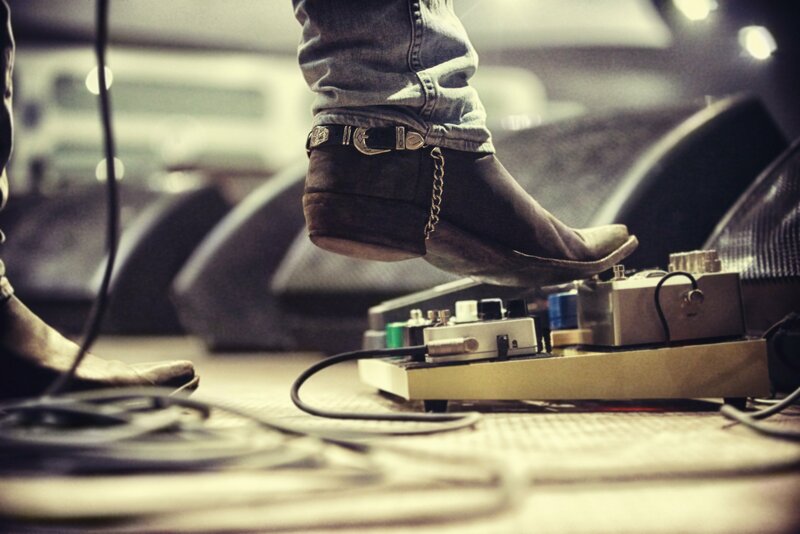 No matter where you play or what kind of music you love, you need a guitar pedal with plenty of power. The five pedals listed above are among the best in the industry, so you can play with confidence and enjoy a whole new level of power and performance.